Which of these former stars visiting Spring Training could still hack it in the big leagues? For current big leaguers, Spring Training is a time of preparation to get themselves ready to rock for the season. But for the superstars of yesteryear, it's a time to swing by Arizona or Florida for a bit to relive the good ol' glory days. Usually these former players will stop by camp for a few days or so, give out some hitting tips, share a useful pitching grip and even throw some batting practice. But what if these once-great baseballing dynamos were actually at Spring Training to give it one last go in the big leagues? They probably wouldn't be as good as they once were (who among us is? ), but I'm pretty sure most of 'em could still survive in the bigs, at least in a small sample size, if they suited back up today. Who exactly is on this list, though? Who would you want on your team? Let's take a look. Yes, a thousand times yes. Sure, he hasn't seen Major League pitching in a few years and now spends most of his time deep in the woods hunting with a crossbow, but if you're telling me Larry Jones couldn't knock a few singles through the hole in 2019, I'm going to kindly ask you to exit the premises. Known lovingly as "The Crime Dog," McGriff slapped almost 500 homers in his 19-year career. Even though he's 55 now, McGriff looks like he's still in awesome shape and could maybe help a big league club right now as a left-handed bat off the bench. The Braves moved Freddie Freeman to third base that one time for Matt Adams, so who knows, maybe they'll do it again for a 55-year-old. Every team in baseball could use a crafty veteran lefty coming out of the bullpen and the Yankees are no exception. Pettitte should have a bit of gas left in the tank: In his final big league season in 2013, he tossed 185 1/3 innings with an ERA under 3.75. He was 41 years old. 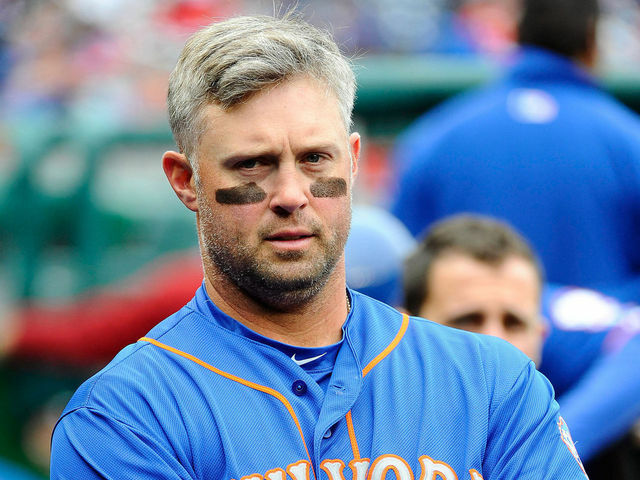 We last saw Cuddyer in 2015 with the Mets rocking some luscious grey hair, but this man is a Minnesota Twin through and through. He stopped by Twins camp last week to hit some fly balls to the outfielders and, oops, what do you know, he accidentally hit one out. Sign him up, he's still got the pop. Michael Cuddyer hits some pop-ups to outfielders and just so happened to go yard! After a different foray into the world of lower-level Italian soccer, Piazza is back stateside at Mets camp to show these young bucks what a real hitter looks like. Piazza could still probably hack it at the dish and be the Mets' emergency sixth-string catcher right now if he needed to. The real question, though: Would you rather have him than Tim Tebow right now? We’re debating this in the @Cut4 slack, so I’ll put it to you too. If you had to have one on the Major League roster all year, who would you rather have?